Antipolo City is the largest city in the CALABARZON region and it is only 25km east of Manila. The mountainous terrain of the city and the hilly road leading to it makes it one of the coolest places to live outside of the metropolis. The Camella Terraces at Woodberry had just moved here, and it is also cool! Antipolo is home to the Hinulugang Taktak National Park, a popular summer getaway with its majestic waterfalls as the main attraction. The city is also famous for its delicacies, cashew, mangoes and other tourist attractions. The Terraces at Woodberry is a residential community development in the middle of the city, inspired by Neo-American architecture. The house and lot project is located in Brgy. San Luis, Antipolo City. This new kind of living within a well-secured community is touted to revolutionize how Antipoleños live in a nature-centered environment with superb man-made amenities not readily found on conventional property developments of old and even with new developers. The houses offered, styled in Neo-American layout are designed from the world-renowned Camella Home Series, which have 2-Storey Single-Firewall in construction. The 2 house models are the Carmela and Marga home designs. 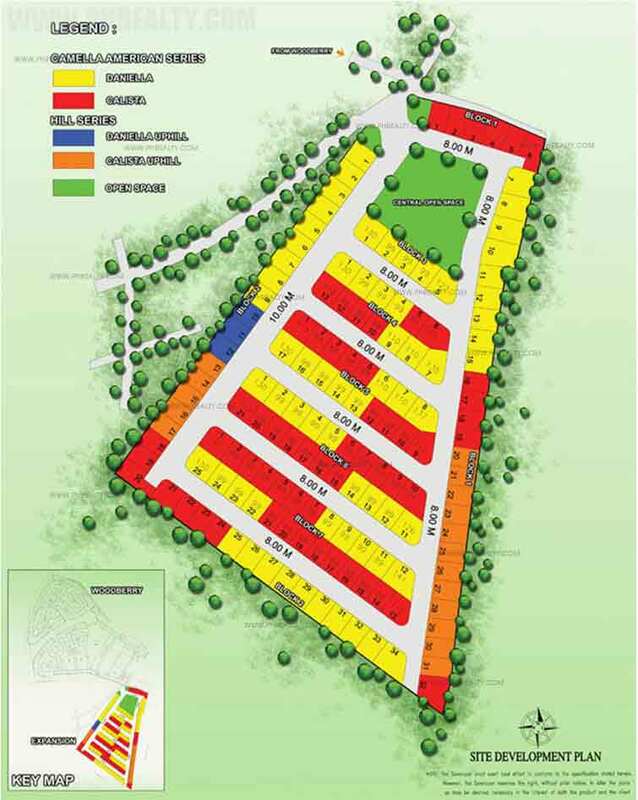 The floor area ranges from 46 to 65sqm while lot area sizes range from 63 to 88sqm, much larger than the competitions. There are 2-3 bedrooms, 1-2 T&B, with dining and living areas, kitchen with sink and cabinet; provision for carport, and balcony for selected unit. 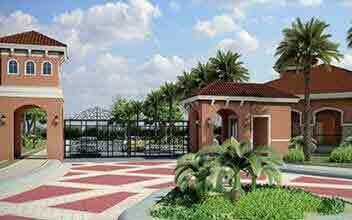 The entrance gate is guarded 24/7 with perimeter fence that enclosed the entire property adding more security to the homeowners and their children. The amenities are really impressive, such as the swimming pool, Clubhouse, landscaped gardens that make the atmosphere fresher and cooler, playground, basketball court, picnic lawn and so much more. Your children will truly appreciate the various choices for their best school, as there are plenty of them near the site, the likes of the University of Rizal System, Our Lady of Fatima University, Nazareth Christian School, Antipolo Faith Christian School, Marymount International School and the Southridge Private School, among others. The various commercial and shopping centers are near the site, such as the Robinson's Metro East, SM Masinag, Robinson's Place, Ali Mall and Antipolo Triangle Mall, to name a few. 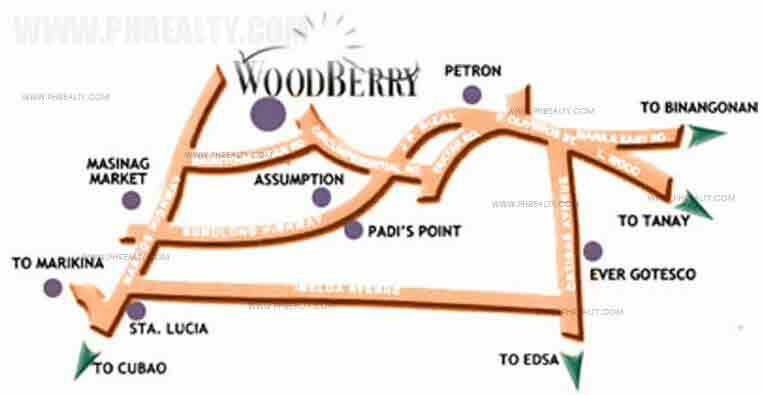 There are several hospitals in the vicinity of the Camella Terraces at Woodberry such as the Antipolo Medical Hospital, Clinica Antipolo Hospital and Wellness Center, Blessed Trinity Hospital, Cornell Medical Center and Unciano Medical Center, to name a few. Churches and other place of faith also abound in Antipolo, such as the St. Therese of the Child Jesus Parish, Sumulong Baptist Church, ST. Francis Xavier Parish Church and the San Antonio de Padua Church, among others.